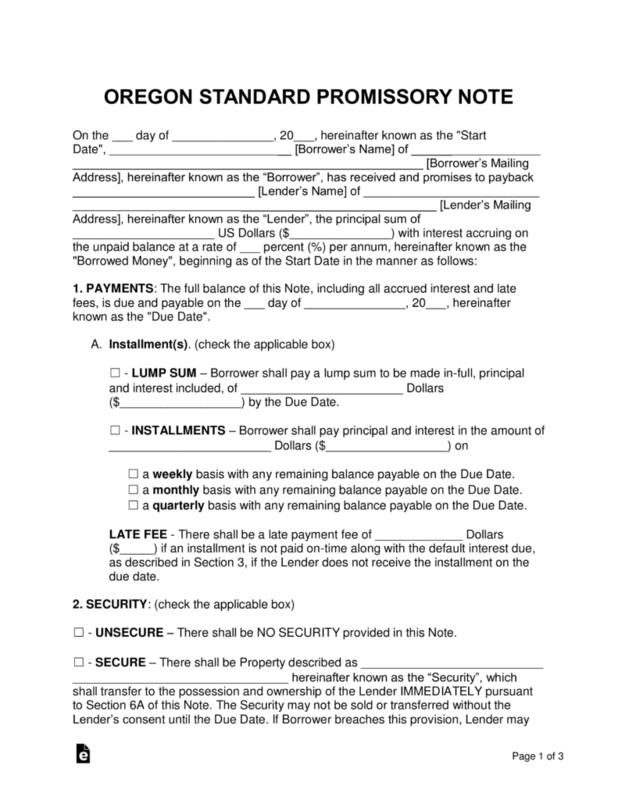 The Oregon promissory note templates are signed documents completed in junction by both a lender and borrower that aid in structuring and detailing the various aspects of a money lending deal. Once the template has been signed, the borrower will be required to make timely and complete payments to the lender for the duration of the agreement. 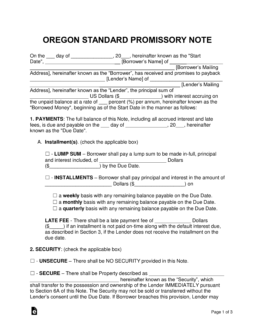 Secured Promissory Note – Includes security, which is a way for the lender to be more secure in the transaction. This is because the lender receives an item (such as a home, car, or boat) in the case of a default that the borrower cannot recover from to cover the unpaid balance. Unsecured Promissory Note – Does not include security leading to in an increase in liability for the lender in the transaction. To help prevent monetary loss for the lender, he or she should screen potential borrowers by ensuring they have a strong credit history. It is also recommended that the lender only lend to family or friends that he or she can trust.